The Look: Edgy, contrasting, double-winged graphic liner, in a wash of soft frosty shadows, complimented by voluminous lashes and sculpted brows. Clean features, soft ombré glossy lips. Apply eye base all over the lid, from the lash line to the brow, smoothing out any discolorations or imperfections. With the fluffy crease brush, apply In The Buff eyeshadow to the mid-lid / crease area using windshield wiper motions. Using a detailed contouring brush, apply Galaxy (matte gray with glitter) directly to the crease using the same technique. With a flat brush, apply Allure pigment all over the lid, concentrating on the center of the lid. TIP: Use Motives 10 Years Younger Makeup Setting Spray directly on the brush and apply the pigments wet, for longer wear and staying power. Using Angel kohl pencil, line the bottom waterline and extend the outer corner wing following the same direction. TIP: Kohl liners are not waterproof, make sure to seal it with a matching eyeshadow to keep it from running. Line the top and bottom lash lines with Onyx kohl liner connecting at the inner corner and extending the outer wings, staying above and below the white winged liner (oreo cookie style). Using a fine detailing brush, seal the top liner with Onyx eyeshadow and smudge down the lower lash liner to create a softer, smoldering look. 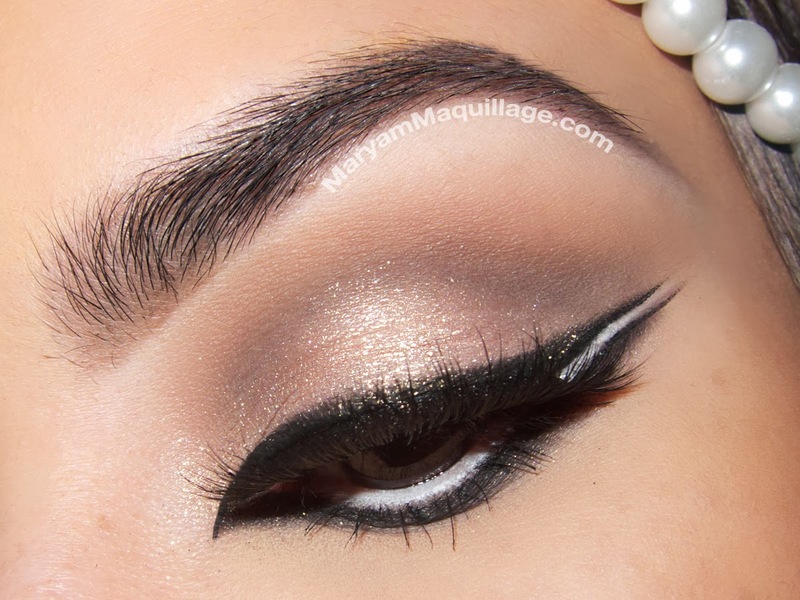 Using liquid liner in Noir for precision, sharpen and darken the inner corner top wing and outer wings. Add voluminous false lashes and mascara. 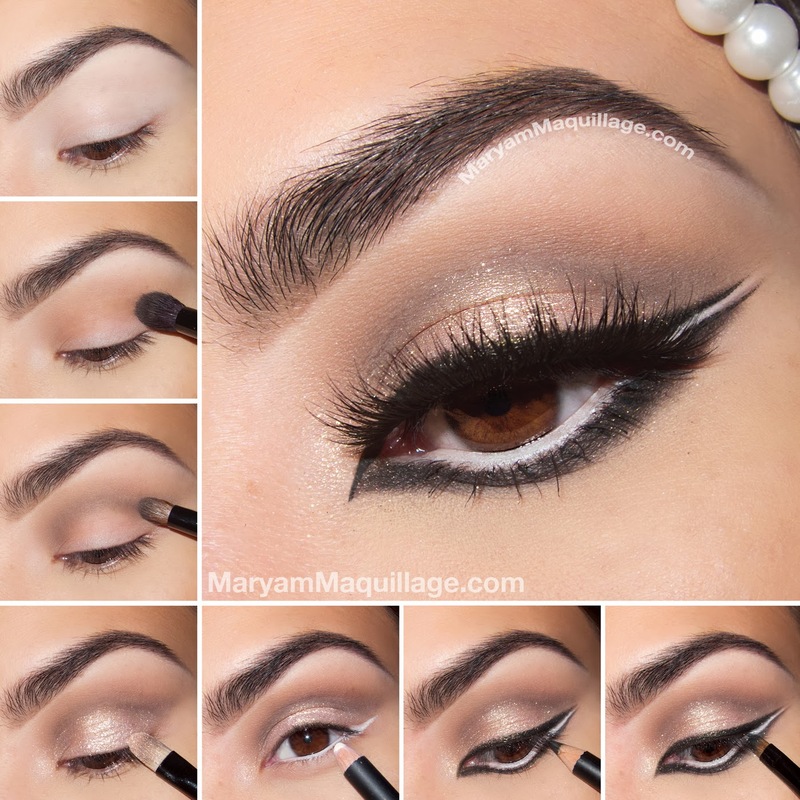 Gorgeous look Maryam! Your such a HUGE inspiration to me! Your flawless pictures, beautiful makeup creations, and gorgeous face are all so amazing, and inspire me to do my own makeup looks! I especially love how you put several different makeup styles together, and made this amazing creation! I also am quite obsessed with those lashes! beautiful! The hair piece goes really well with the makeup! 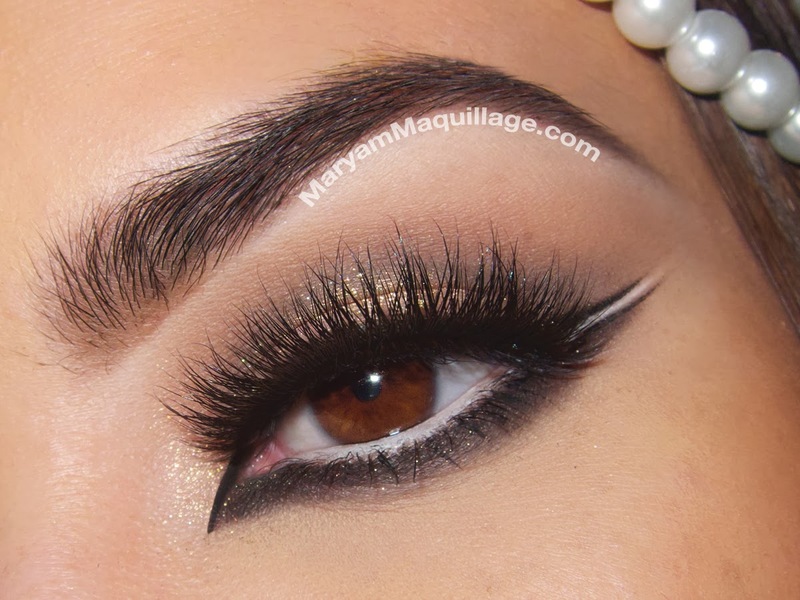 What a lovely and sensual look, Maryam !